Glenn Curtiss is recognized as the “Father of Naval Aviation.”He trained the first Navy pilots and built their first aircraft, the A-1 Triad Amphibian. It was “Curtiss Pushers” in 1910 and 1911, that demonstrated capability to take off and land on a ship, leading to the development of aircraft carriers. Curtiss factories employed tens of thousands of people during the first World War earning him recognition as the “Founder of the American Aircraft Industry.“ The Glenn H. Curtiss Museum is dedicated to the memory of this pioneer aviator. The museum contains a priceless collection relating to early aviation and local history. It also includes a Restoration Shop that restores historic aircraft. 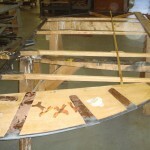 WEST SYSTEM® Epoxy is used in the current construction of the Curtiss Albany Flyer, (right). 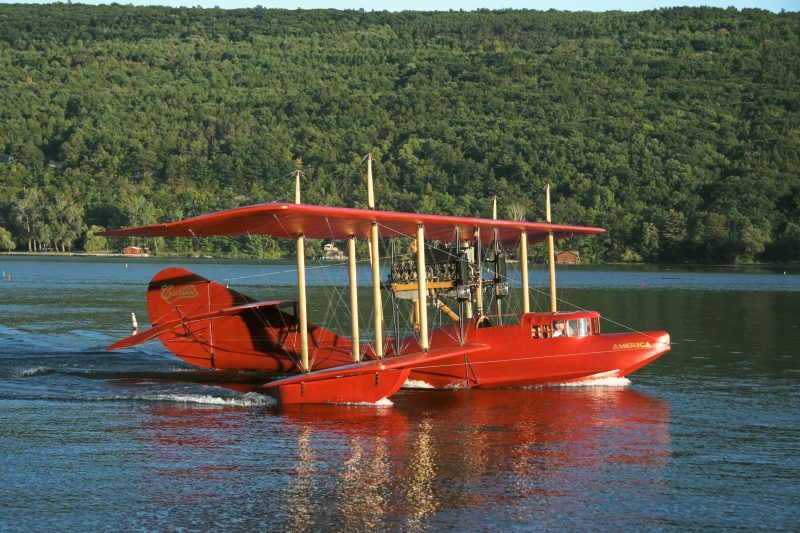 In 1910, the Albany Flyer made the historic 150 mile flight from Albany to NYC completing the third leg of the Scientific American trophy competition and winning Curtiss permanent possession of the trophy. The Scientific American Trophy competition was established in 1908 to encourage aviation by bringing flying out into the public domain. Up to this time the Wright Bros. had been operating in seclusion. Curtiss won all three legs of the Trophy competition. 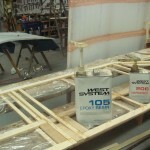 “Although Curtiss used animal glues in the original construction, we have the advantage of using much stronger, more reliable WEST SYSTEM epoxies in building our flying reproductions of early Curtiss Aircraft,” says Jim Lally, a volunteer at the Curtiss Restoration Shop. The museum is located on Route 54,one half mile south of the village of Hammondsport, New York, hometown of Glenn Curtiss. 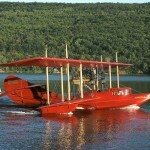 Visit www.glennhcurtissmuseum.org to learn more about the museum and Glenn Curtiss. A 72′ wingspan reproduction of the 1914 Curtiss flying boat America was completed by the museum’s Restoration Shop crew in early September 2007. The 1910 Albany Flyer is the current construction project. 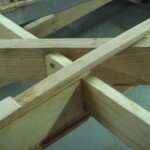 Instead of the animal glues used in the original, this reproduction uses WEST SYSTEM Epoxy.